Did you ever want to be the DJ? 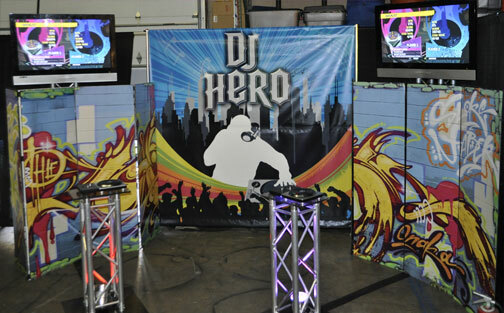 Well now you can with the DJ Hero game. DJ Hero allows you to create a new mashup of songs. Did you ever want to be the DJ? Well now you can with the DJ Hero game. DJ Hero allows you to create a new mashup of songs. It’s a fun activity for any and all ages. This game is perfect for any type of event.